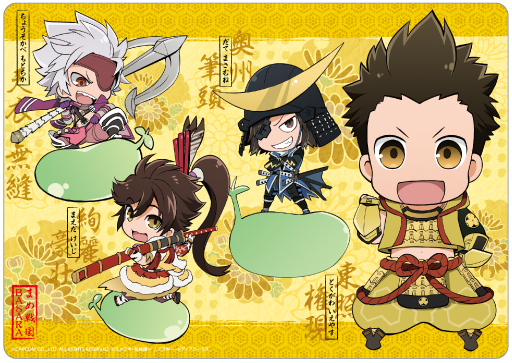 The Dais Shop has been updated as promised today with plenty of Butai Sengoku Basara 3 Utage merchandise. Included in the list is the DVD recording of the play, due for release in late September 2013. It will be available as a ¥6,000 standard edition or a ¥6,500 first press limited edition with a special photo booklet. The limited editions tend to sell out quickly. Since it's the final show for some of the actors it should make for a good memento. In the meantime, Amazon Japan, Amiami and Otaku Republic are listing a few of the Mame Sengoku Basara items I mentioned before. They seem to be carrying the clear bookmarks, card jackets and mugs. 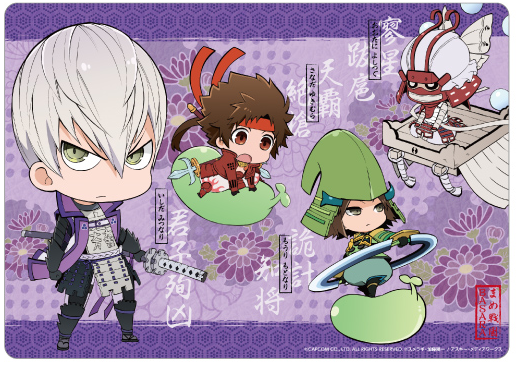 There's also a pair of ¥525 mouse pads with a choice of Tougun or Seigun designs.